Since the dawn of the industrial revolution the most common criteria for promoting people to leadership positions has primarily been their technical ability. Naturally, new managers tend to do the things that got them promoted, that is, they do the most challenging work themselves and leave the leftover tasks to less technically competent workers (those they lead). Inevitably, most of the people who report to such a manager begin to view their work with apathy—they become demotivated and their career progression stalls. Employee engagement statistics from research around the world indicate that the scenario described above plays out in almost every organization on the planet. Most business leaders recognize that this method of promoting people produces lackluster results, but they don’t know of any other way. A standard for promotion already exists in the minds of every single executive. The problem is, this standard differs depending on which executive you ask. Worse, most executives can’t even succinctly explain their rationale. Worse still, their promotion criteria changes depending on whom they are evaluating. “I know a good leader when I see them” is a common saying. Unfortunately, that’s not good enough when you’re developing leaders for something bigger than yourself. 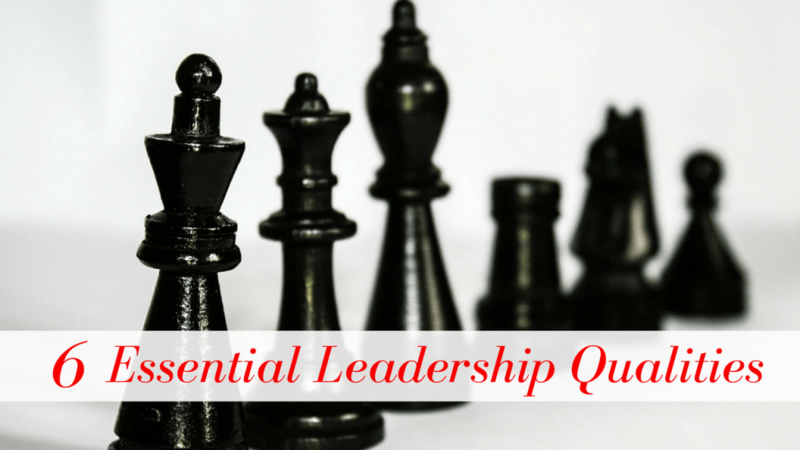 There are likely hundreds of qualities that make for a great leader. But many of them are no-brainers such as “integrity”, “strategic thinking,” and “results-orientation.” I advise my clients not to waste their time focusing on the litany of leadership qualities found in “stock” competency models. Instead, I suggest they focus on the three or four qualities that have the greatest impact on leader performance in their specific organization. If you want your promotion criteria to be broadly understood and applied, you need to keep it clear, simple, and memorable. So how do you figure out what those few qualities are? Through a series of carefully executed focus groups, it’s possible to coax those key qualities out of the dark corners of the minds of the company’s top performers and leaders. Each focus group that I facilitate comes up with wonderfully different ways of expressing the most important leadership characteristics for their organization. When the same themes keep emerging in various focus groups within the same organization, I know we’ve found their most important leadership criteria. But when I take a step back and compare the results from multiple organizations I have worked with, I notice some common themes that I’d like to share with you. Disclaimer: I’m not suggesting that organizations simply use the following leadership characteristics as their promotion criteria. What I’m saying is that, when organizations do the work to identify the most important leadership behaviours for their own organization, the following six characteristics will often be represented in some form. Coachable. Quite possibly the most important leadership quality of all—the one which reveals one’s true character—is the ability to receive negative feedback with gratitude, and then make course corrections. The surest way to fast-track our success in life is through a commitment to constant self-improvement by seeking out and acting on feedback. Motivational. The business world is just waking up to the fact that employees’ discretionary effort can’t be purchased with monetary incentives; it must be earned through the application of correct motivational principles. The best way to motivate and inspire others is by a) giving them a purpose beyond simply making money; b) offering them the autonomy they need to love their work; c) focusing on their strengths; and d) praising good performance. Calm under pressure. Think of the times when you get your most innovative, brilliant ideas. Odds are it’s when you are relaxed or “in the zone”, doing what you love. Leaders need to be calm under pressure, not only so they can be more effective, but more importantly, they need to be a model of emotional stability so everyone else can be more effective. Many CEO’s these days tend to react to market pressure by demanding that their employees be more innovative. This is like ringing the neck of the golden goose. It’s ironic that reactive, demanding CEO’s are very likely creating the opposite conditions in which innovation can thrive. Courage To Have Difficult Conversations. Courage is perhaps the most commonly cited leadership characteristic throughout the annals of history. This axiom is as relevant in business today as any other time. Business leaders must have the courage to say what needs to be said—to underperforming employees, to customers who deserve an apology, or to short-sighted boards of directors who would sell the company’s future for a good quarterly earnings report. Demonstrating the courage to put yourself at risk for the benefit of others creates trust and attracts followers like nothing else. Optimistic. Virtually every great leader who has made a positive difference in the world was an optimist. Mahatma Gandhi, Nelson Mandela, Mother Teresa, Dr. Martin Luther King, Winston Churchill – they were all optimists. None of them could have done what they did if they didn’t believe that tomorrow could be better than today. Develop Others. One of a leader’s key responsibilities is to develop other leaders. Poor business leaders hire someone for a specific role and hope they stay there forever. Great leaders see the potential in others and look for opportunities to apprentice not just one, but many future leaders. Their sincere desire is to set others up for success. You won’t get the results you want by replicating what’s worked for other organizations or by copying a list of great leadership characteristics like the one above. Each organization is different. The right promotion criteria for your organization should strengthen your unique, desired culture. Take the time to discover the right promotion criteria for your organization. 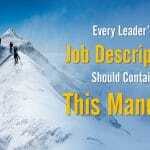 Good list of characteristics for leadership. 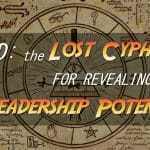 Found: The Lost Cypher For Revealing Leadership Potential!